In order to assure the widest possible number of gun fitments, the first IR lasers to be made available will be the award-wining MVF-515 vertical foregrip and the hugely popular Rail Master™ mini laser. 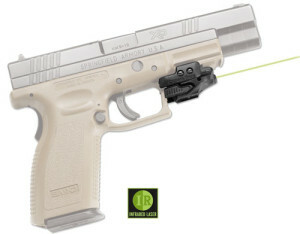 The Rail Master fits almost any firearm with a Picatinny rail and adds less than 2oz to the overall weight, while incorporating the most powerful laser available by law. The MVF-515 has an incredibly long run time and offers the additional benefit of a blinding, 200 lumen white light to enable the use of daytime optics as well as night vision devices. 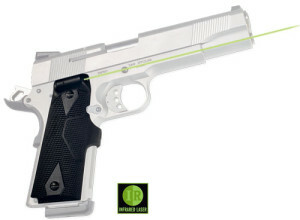 Crimson Trace will also introduce IR versions of its instinctively-activated Lasergrips® for the 1911 and Glock pistols, assuring the same night vision compatible performance for sidearms. Has anyone used any of these sites? If so I’d love to hear your experiences with them, leave me a comment if you can.